The most basic design consists of a lens to focus the infrared (IR) energy on to a detector, which converts the energy to an electrical signal that can be displayed in units of temperature after being compensated for ambient temperature variation. 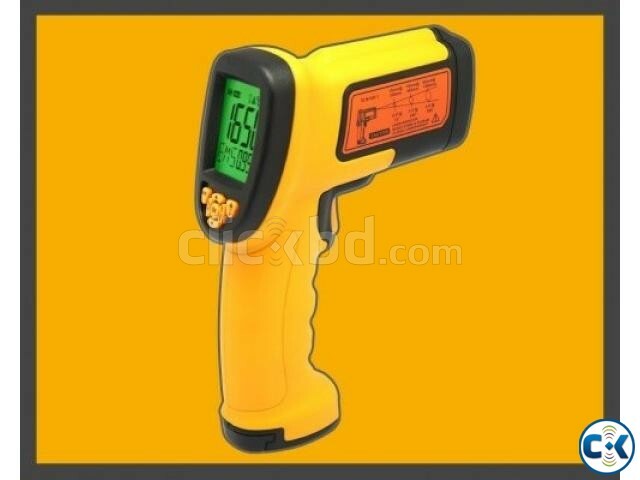 Infrared Thermometers allow users to measure temperature in applications where conventional sensors cannot be employed. Specifically, in cases dealing with moving objects ( i.e., rollers, moving machinery, or a conveyor belt), or where non-contact measurements are required because of contamination or hazardous reasons (such as high voltage), where distances are too great, or where the temperatures to be measured are too high for thermocouples or other contact sensors.